First time trying to use DoF and reflective floor. By the way, in that …thing, in the middle. It has no textures, or particles and that way I am very proud of it I was supposed to put this to finished but thought that I can improve something before that. Can you tell me what to do next to this pic? Other comments and critics are welcome as always! I would add a few more of the subject in the distance to add to the depth effect. Okay, I thought too that my blur is too agressive… What that size-button does in Map value-node? And I will but couple of those things more to the pic! They are very memory killers, though. Particles could have been better in this project. Personally I like this one much more! What about you? Hey I really like the way this looks. Can you explain how you made the object? what renderer did you use? how did you light it? 2.Now for some randomness: subdivide it 2 or three times and then press fractal( about 70 percent) and then you press rem doubles in the same panel. more you left the vertices, the more shin those “needles” will be. I used 0.300 in limit and 0.000 in threshold. Press E-key, select invidual faces and play it. You can make that invidual-thing again, rotate and scale, for example. Thanks to Marsan for basic idea of nodes. why don’t you use the defocus-node for the dof??? 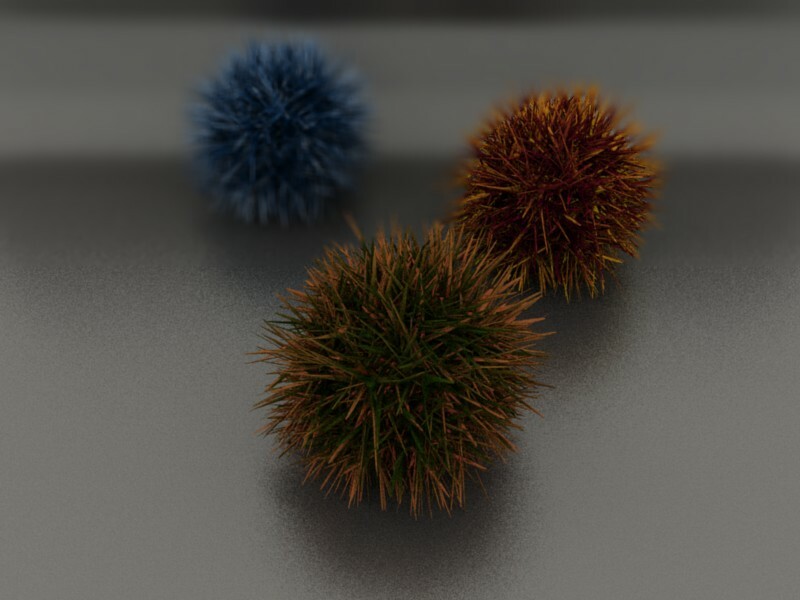 do you know, that the defocus-node is for dof, with much better results?? eaglebreath: You know you have to turn off ‘preview’ in the defocus node, right? can you post a *.blend. i guess, with the defocus you won’t get these artifacts on the rim of “your balls”. oh, and you have to set the focus distance in the camera edit panel. 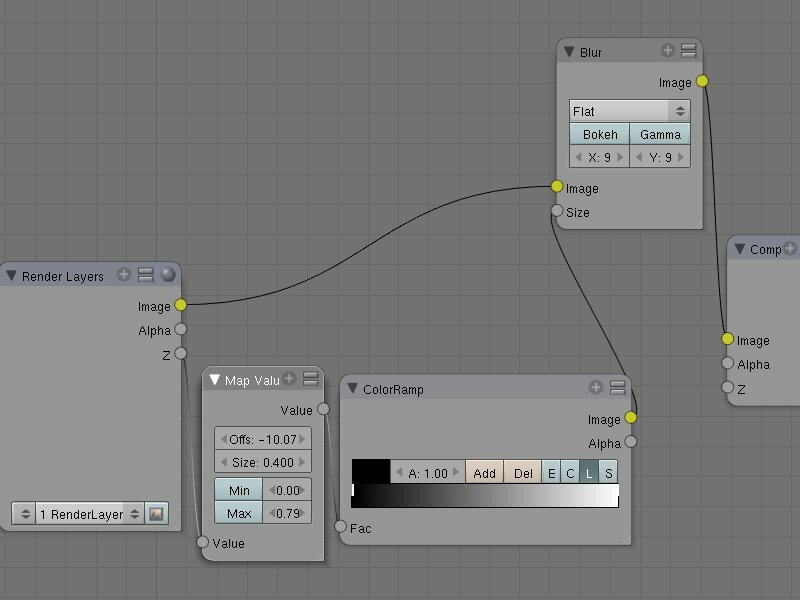 The problem with the z-blur-map value approach is that it’s wildly inaccurate on overlapping geometry. The top of your closest ball is blurred when it shouldn’t be, because it’s overlapping the background which is blurred. The defocus node, while not perfect, does a much better job of masking. Yeah, De-focus also blurs z values beyond and before your focus value, to more accurately depict real DoF. That way, you can focus on an object in the background and have the foreground blurred too, without having to set up four times as many nodes.